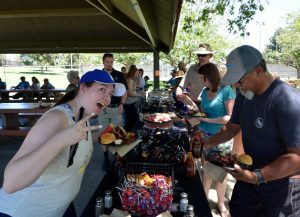 Excel Construction 2nd Annual Company Picnic | Excel Construction Services, Inc. It was a blazing hot day in May but that didn’t stop Excel employees from having some fun in the sun! 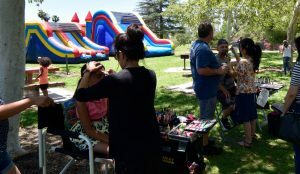 Excel held their 2nd Annual Company Picnic on May 20th at La Mirada Regional Park and all employees, their spouses and children were invited. There was no pre-scheduled work that day, only emergencies, that way the picnic could have maximum attendance. 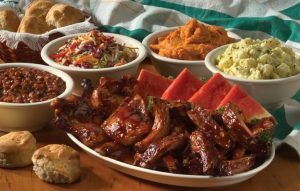 The picnic was catered by Lucille’s Smokehouse BBQ and frozen treats were also available to help guests cool down. The day was full of fun activities for kids and adults too. There were games, slides, a bounce house, face painting, relay races and even a chance to win prizes. The inflatable horse race was just supposed to be for the kids but somehow the adults got involved. Fortunately, no injuries were reported, other than the pride of the participants! The face painting contest was so popular last year, Excel brought in two artists this year to keep up with demand. 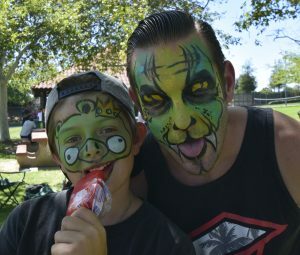 Participants in the face painting contest chose their own designs. A judging was held and top runners up received gift cards for movies and dining. The winner of this years $1,000 first place prize in the face painting contest was Robert Anthony, Customer Service Representative. The Facilities Operations department won the tug-o-war, their prize was a pizza party at work the next week. Thank you to everyone for helping to make this a great day for the Excel family!